The 25th Session of the International Poplar Commission took place in Berlin, Germany from September 13 to 16, 2016, hosted by the German Federal Ministry of Food and Agriculture (Bundesministerium für Ernährung und Landwirtschaft), with the support of the Agency for Renewable Resources (Fachagentur Nachwachsende Rohstoffe e.V.) and FAO. IPC meets in full session every four years. Canada hosted the 17th Session in Ottawa in 1984, and co-hosted the 21st Session with the USA in Portland, Oregon in 2000. The IPC was established in 1947 as a subsidiary body of the Food and Agriculture Organization (FAO) of the UN largely on the initiative of European countries who were seeking fast ways of replenishing depleted timber resources in the post-World War II period. In the nearly 80 years since then, IPC has grown to include 38 member countries in both the developing and developed world. IPC members are generally the national poplar commissions of countries. In the case of Canada, the Poplar and Willow Council of Canada is a member. IPC is the only international forum for networking and exchange among managers, researchers and users of poplars and willows. More than 200 participants from 25 member countries and 12 non-member countries took part in the event, broader representation, particularly from non-member countries, than has been seen at recent past Sessions. Among the participants were seven Canadians, five of them PWCC Board members, including Poplar and Willow Council of Canada past-chair Dr. Barb Thomas who was re-elected to the Executive Committee of IPC for a second four-year term. The Executive Committee met for a full day immediately before the IPC Session, and again briefly at the close of the Session. 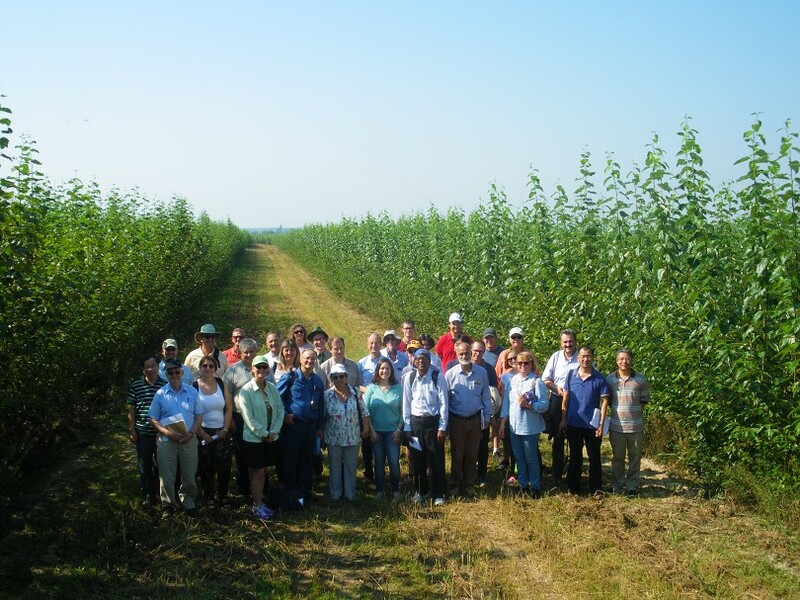 Pre-conference tour group in operational poplar energy crop plantation at Müncheberg. 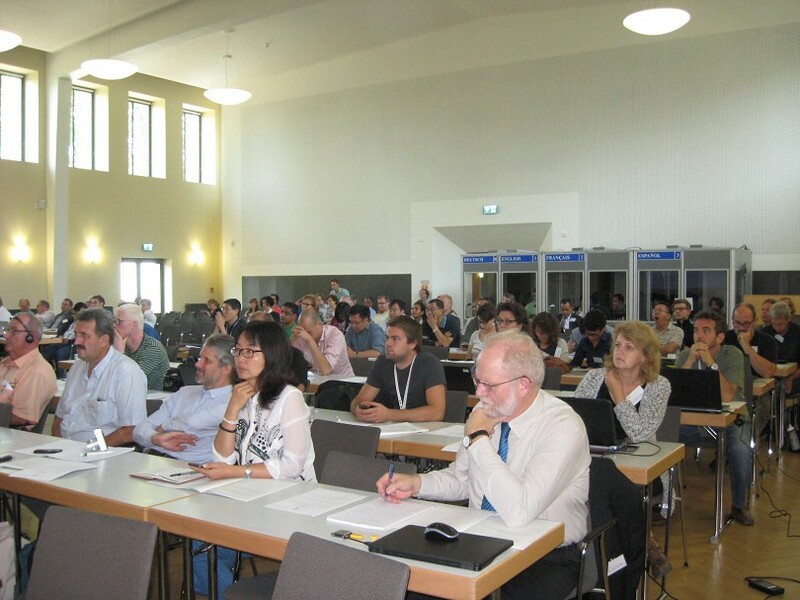 The Session was very productive, with a record 203 oral presentations and numerous posters together covering a broad range of topics including domestication and conservation of genetic resources; climate change, plant health and resilience to threats and crisis; sustainable livelihoods, landuse, products and bioenergy; environmental and ecosystem services; and taxonomy, nomenclature and registration. All these presentations were under the overall theme of ‘Poplars and Other Fast-Growing Trees - Renewable Resources for Future Green Economies’. Production of biomass for energy is currently one of the most important objectives of poplar and willow culture in Germany. This was illustrated in field study tours offered before and after the session in Berlin. Three consecutive one-day pre-conference tours provided opportunities to visit applied research on short rotation coppice at Eberswalde, tree improvement at the Thünen Institute of Forest Genetics at Waldsieversdorf, and bioenergy and carbon sequestration projects at the Leibnitz Institute for Agricultural Engineering in Potsdam-Bornim. Each of those tours also included a cultural program, exploring the rich and varied heritage of the Berlin area. Two multi-day post-conference tours were offered: one explored bioenergy and UNESCO World Heritage Sites in Central Germany as far south as Frankfurt and the Rhine River; the other enabled participants to see 'trees, people and bioenergy' in south and central Sweden through a combination of plane, bus and ferry transportation. Each tour had about 30 participants. The process of IPC reform, which was begun at the previous Session in India in 2012, continued to move forward, albeit more slowly than had been hoped. In an effort to make the Commission more relevant and attractive to sponsorship funds and to potential new members, particularly from developing countries, the Executive has proposed to broaden the scope of IPC beyond the Salicaceae, orienting the focus more towards fast growing trees, mitigation of climate change, sustainable rural livelihoods and production of raw material for industry. However, a formal vote among representatives of member countries present at the Session to accept changes to the IPC Convention which would reflect this new direction narrowly failed to receive the requisite two-thirds majority. Another opportunity for a vote will come in 2018 when the IPC Executive Committee meets next, in Rome. Meanwhile the reform process continues: the Working Parties, under which the work of IPC primarily takes place, have already been re-oriented.